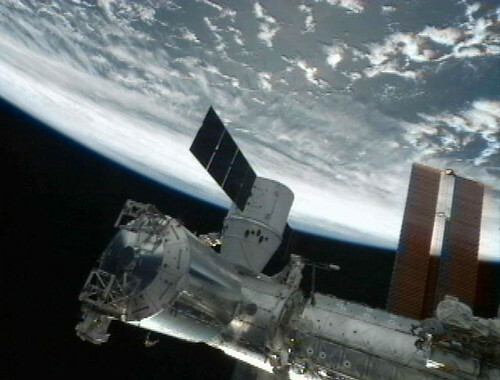 SpaceX got the job done: the Dragon capsule has docked with the International Space Station! Check out their B-roll video…. SpaceX B-Roll Package for Broadcast from SpaceX on Vimeo. Actually, they opened the hatch early because they had the munchies (hat-tip to SpaceFlightNow.com). Judging by their launch manifest, I’d say these SpaceX folks are for real and will be around for many years. This entry was posted on Wednesday, October 10th, 2012 at 10:05 am	and is filed under Cool Stuff, NASA, Rockets & Launches, Space Business. You can follow any responses to this entry through the RSS 2.0 feed. You can leave a response, or trackback from your own site.